The recipe I used is straightforward, and the ingredients are very basic. The instructions are divided into two parts, one for the crust, and the second for the filling. Make the crust first, because you need to shape the dough into the tart tins, and then chill the dough for 30 minutes before pouring in the filling. I never really have much luck with pie crusts, despite my best efforts with frozen butter and ice water, my pie crusts still are never very flaky, so I didn’t hold up much hope for this one. For this recipe, instead of cutting in the butter with a pastry cutter, you just whip it with the powdered sugar, flour and egg. No sweat! The recipe asked for half a egg white and one egg yolk. I tossed in an entire egg, and hoped for the best. I also only had unsalted butter, so I used that. 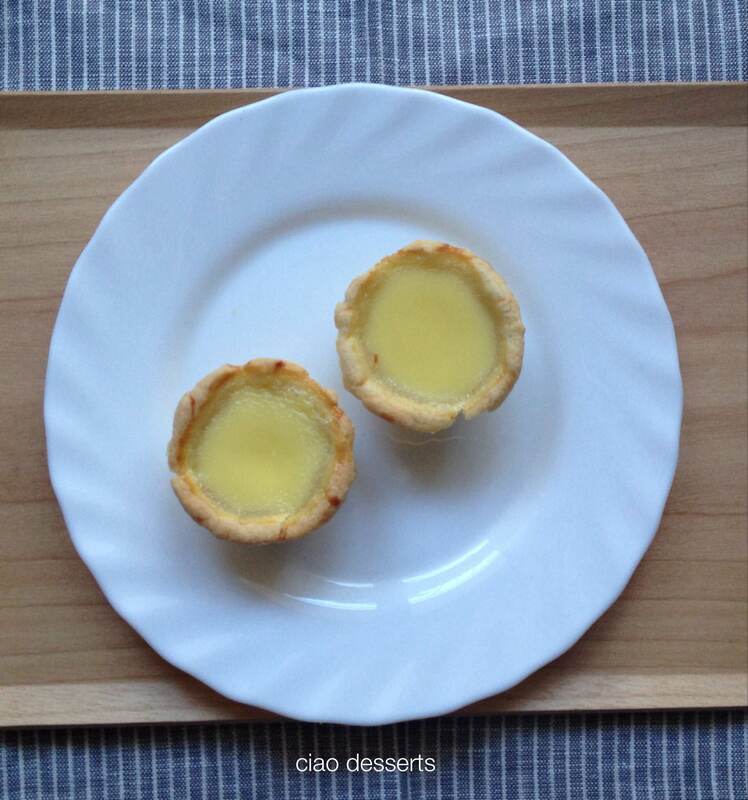 Both of my modifications didn’t seem to affect the taste or texture of the egg tarts. 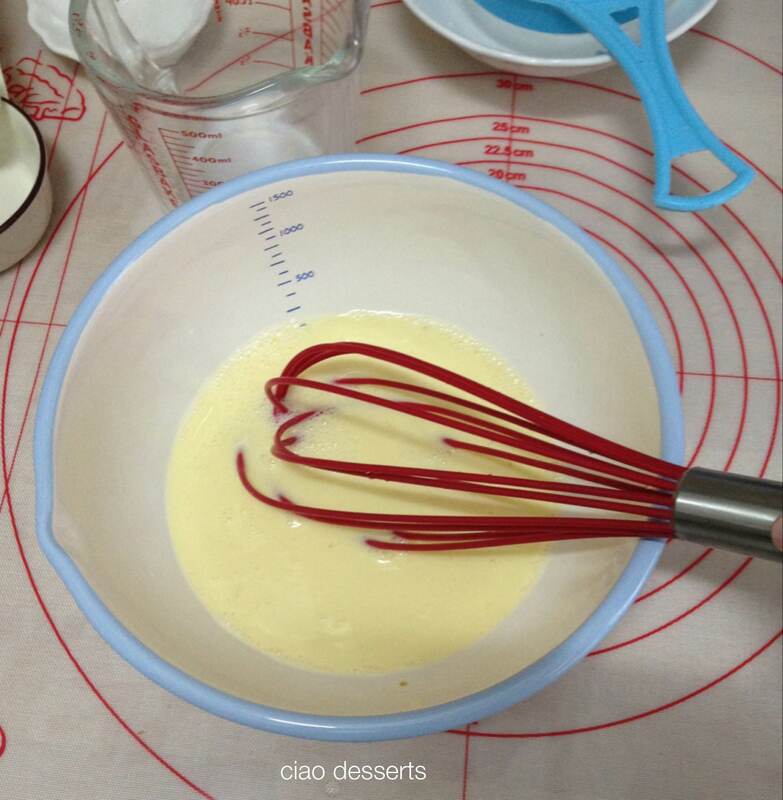 The filling is also very easy, it’s just a straightforward mixture of eggs, milk, vanilla extract, hot water and sugar. Make sure you dissolve the sugar in the hot water, and let it cool before adding it to the eggs. 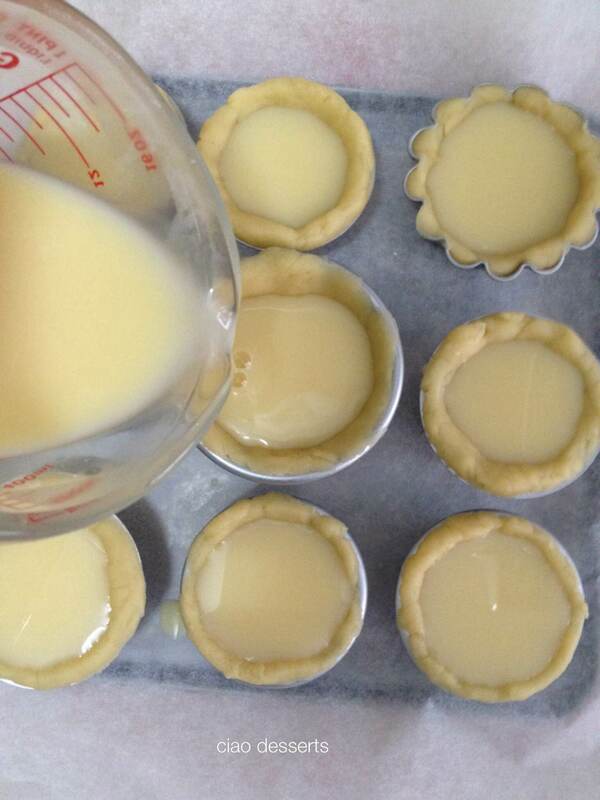 One part to make sure to do is to strain the custard twice before pouring it into the tart shells. I’m so glad I wasn’t lazy and didn’t skip this step! The custard looked smooth, but I actually filtered out quite a few stray bits of egg yolk both times. 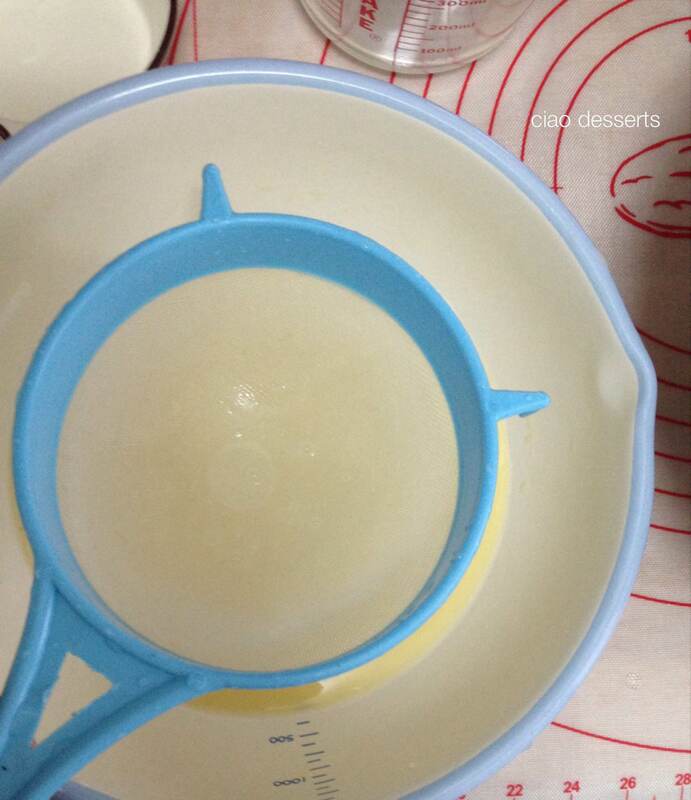 Another trick that I used was to pour the custard batter back into the measuring cup. 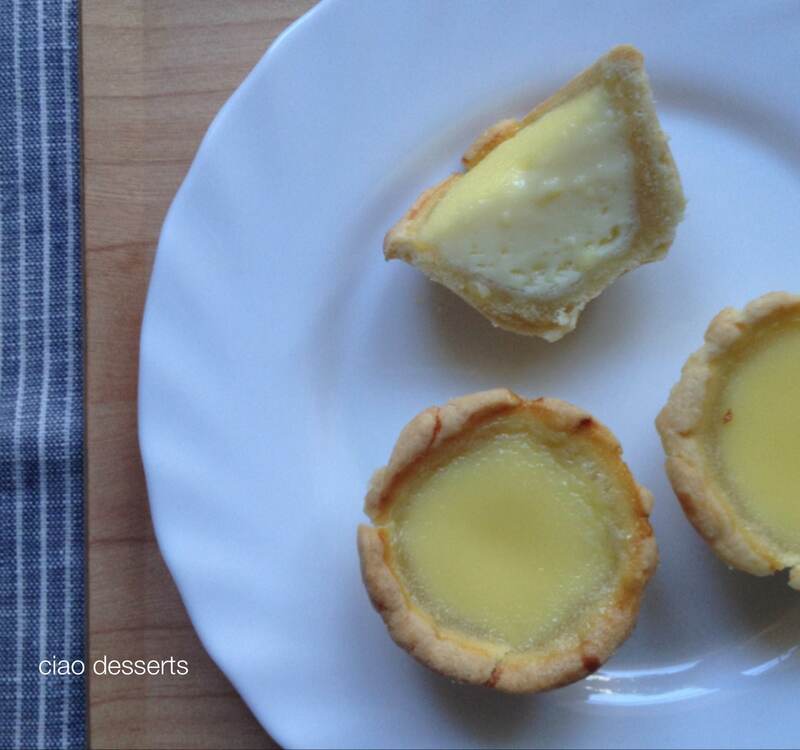 It made for more precise pouring into those teeny tart shells. I popped them into the oven, and they were done in about 25 minutes, in my oven. I thought they weren’t done, because they still looked a bit wobbly.. But it turns out, they’re supposed to look that way! I sliced a egg tart in half after it cooled down, it’s a velvety, soft texture. Oh, and the crust tastes beautiful. Buttery perfection. One improvement I would make in the future is to shape the edges of the tarts higher, because I had some filling overflow (which happened when I put the baking pan in the oven, and probably a bit during the baking process). With such tiny tins, it would be a shame to waste even a tiny drop of custard! Cream butter with powdered sugar, and egg. Add in flour and mix well. 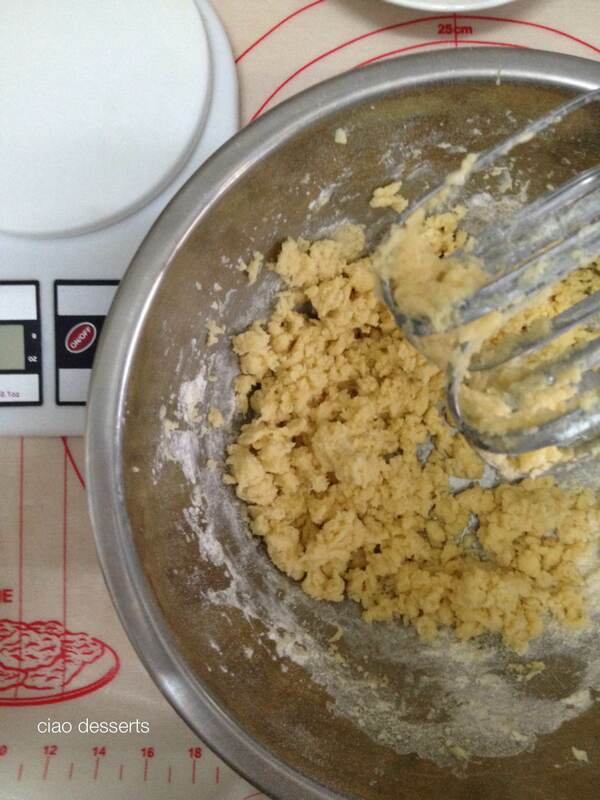 Once it is well mixed, using hand, press the mixture together and form a dough. If the dough is too wet or oily, do add some flour. Give it a few knead. But don’t over-work the dough. Wrap the dough in a plastic wrap. Chill for 10 to 15minutes. Take the dough out of the fridge. Cut pastries into 6 equal portion. The individual dough should weight about 38 grams each. 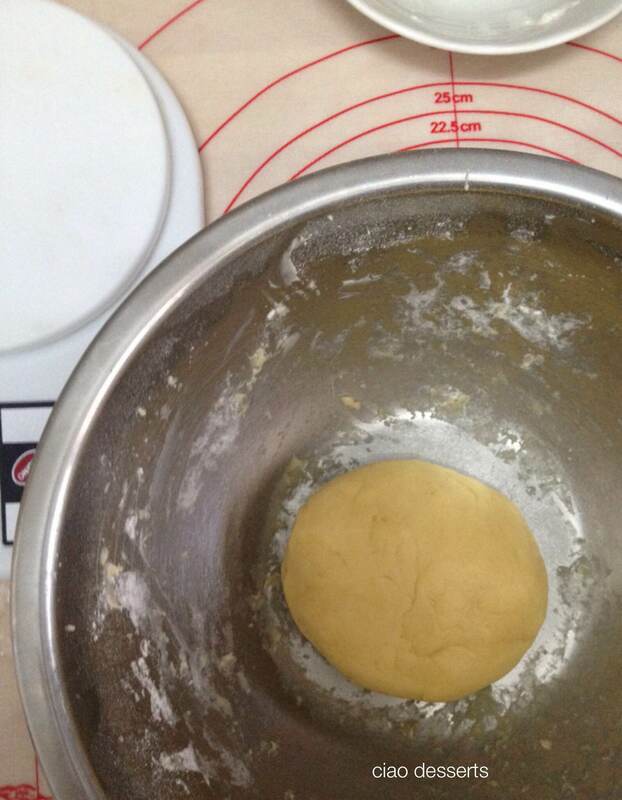 Roll individual dough into a ball. 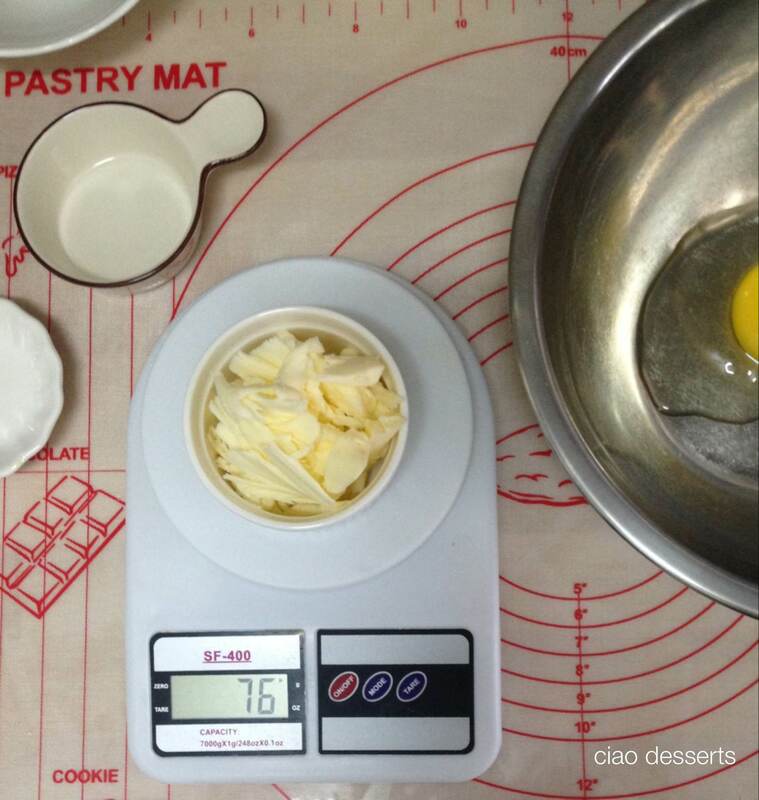 Using both palms, press the pastry ball into a flat piece. Line dough in the middle of tart cases, lightly press the dough into the tart cases. Refrigerate the tart cases for 30mins, before use. Beat eggs with milk, vanilla extract and salt. Pour in sugar water. Mix well. (Recipe adapted from Annelicious’ blog).